Children nowadays, at a young age already uses smartphones and other devices. Is it really advisable to let young kids access these devices? A concerned dad shared on his Facebook his experience and warning other parents not to let their children use these devices too much. 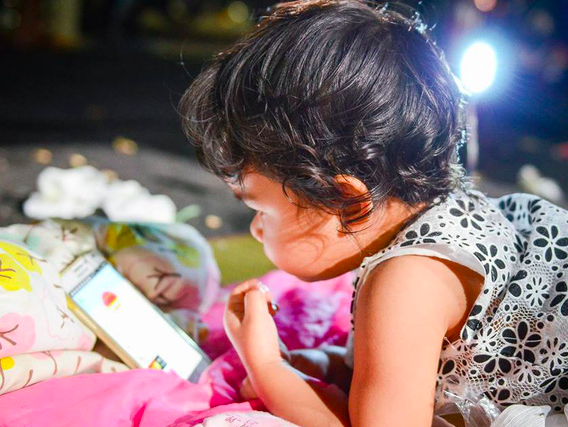 In the case of this Thai dad, he started t olet his daughter use a smartphone and iPad at the age of 2. As time passed by, his daughter showed manifestations of phone addiction. Whenever her dad took out the phone from her hands, she was furious. 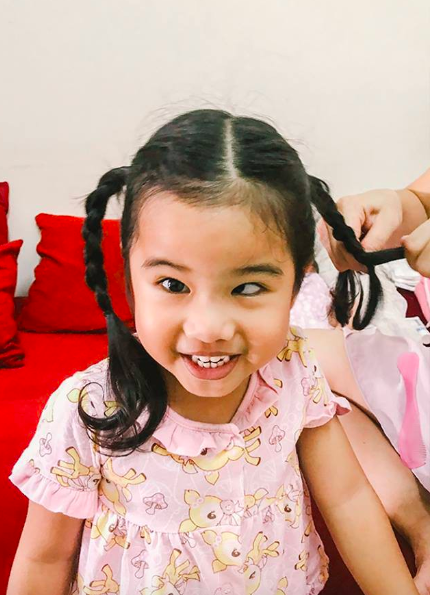 Doctors said that Dachar's daughter had vision loss or "lazy eyes" - when the eyes did not work together, causing the fact that an eye worked effectively while other didn't. As a result, she has not only visual impairment but also squinty eyes. Since then, the child developed eyesight problems. 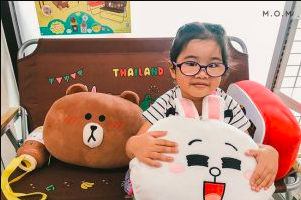 In the hope of preventing complications, the father gave his daughter some glasses to wear. 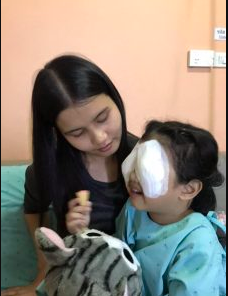 However, by the age of 4, she underwent an eye surgery. Wherein Doctors said that the child had vision loss or "lazy eyes" - where the eyes does not work together, having one eye working effectively while other didn't. 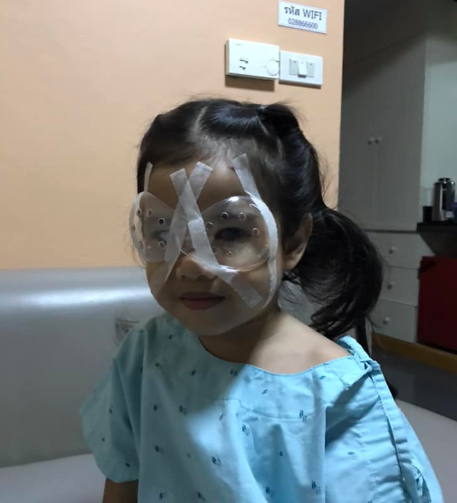 On October 31, an eye surgery for the 4-year-old girl took place. 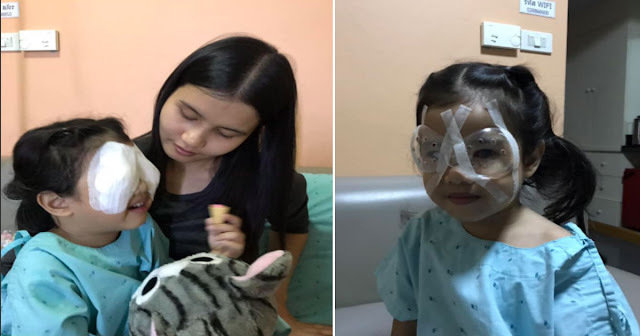 After the surgery, the child was able to use both eyes simultaneously. It was then that the doctors advised the father not to allow his daughter to use smartphone, iPad, computer and television if she similar symptoms appear. The light emitted from these devices is the main cause of vision loss that requires surgery. Along with this is the problem of concentration and focus. Since the young girl has been addicted to these devices, she can't easily concentrate without it. A smartphone or a device just to keep the child preoccupied. isn't advisable. It may seem to be the easiest option but that would just allow further problems in the future. It is better to bring books, toys and let them interact with other kids.